"For over 30 years Betty Lukens, Inc. has been manufacturing quality felt visuals. Our Learning Fun with Felt line includes over 30 sets to inspire children's creativity. With the moveable pieces and personal-sized play boards, they can engage in imaginative play by arranging and rearranging the pre-cut felt pieces over and over again. Each time they create new and exciting stories as they experience the fun and magic of felt and leaves a lasting impression." What we thought: These Learning Fun With Felt sets are great learning tools! 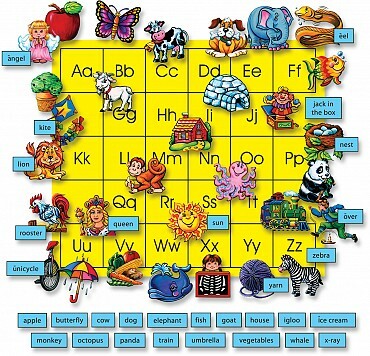 We've implemented them in several of our lessons and the kiddos LOVE them! 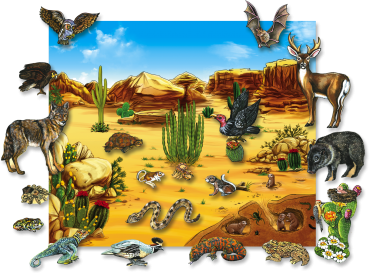 The North American Desert set was perfect for learning about the ecosystem of that area, the birds, animals and the plants that live there. The Alphabet felt board is used frequently in our reading lessons and is great for both 6 year old A AND 3 year old D. They get lessons in letter and word recognition, beginning sounds, spelling/reading, long and short vowel sounds, matching, alphabetizing...the list could go on and on! Both the boards and the felt pieces are well-made and the perfect size for little hands to manipulate. These boards have already provided hours of "edu-tainment" for our kiddos and I know they will continue to do so:) ABCD Diaries gives Betty Lukens Learning Fun With Felt Boards and A+! Check out all of the great sets at Betty Lukens Learning Fun With Felt! a Rafflecopter giveaway Disclosure: ABCD Diaries was given samples for review purposes only. We were in no other way compensated. The opinions expressed in this post are ours and ours alone. Entered the Tummy Calm giveaway too! I entered Red Gold Tomatoes. I entered the red gold giveaway.